The weather has been unpredictable. The first day of 21 degrees sent me into shock mode, it was just 60 degrees last week. How could winter be here already? Oh yeah, it’s Maine. I keep forgetting. Like the first year we lived here there was 3 feet of snow the week before Halloween. I really had to question our choices. Oh my God, what have we done? But the years have gone by and that hasn’t happened again, so here we are almost in the middle of November, it is so mild and beautiful. The leaves are still on the trees and I am feeling thankful for this. This is a great Slow Cooker recipe that is full of flavor and my whole family gave it a big thumbs up. It’s a recipe that I will be making again. Heat a skillet or pan to medium-high, add olive oil and sear the whole pork roast on all sides. Place roast and any drippings in a large slow cooker. 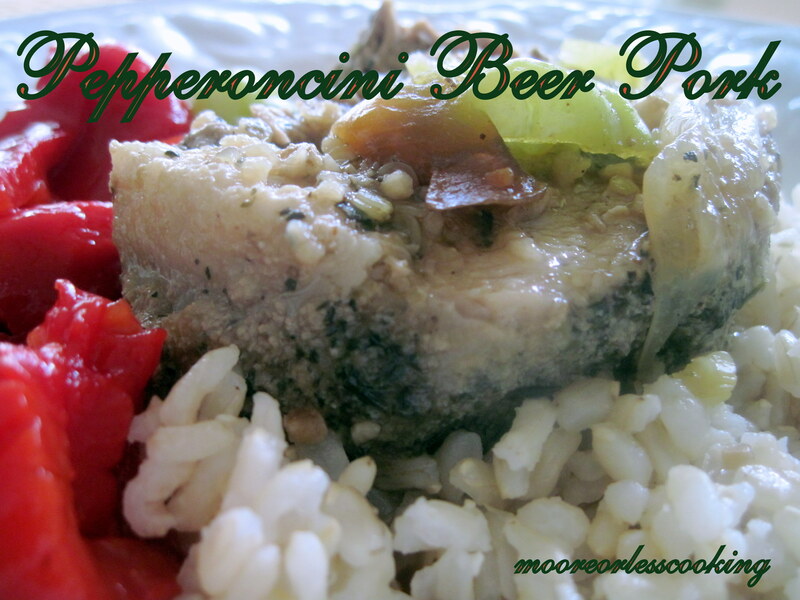 Pour the beer and the entire jar of pepperoncini with liquid over the roast. Sprinkle with salt, seasoning and layer onions and garlic on and around the roast. Cook on low for 12 hours. Serve over Brown rice, pasta or Potatoes. This recipe works well with beef, chicken or turkey.